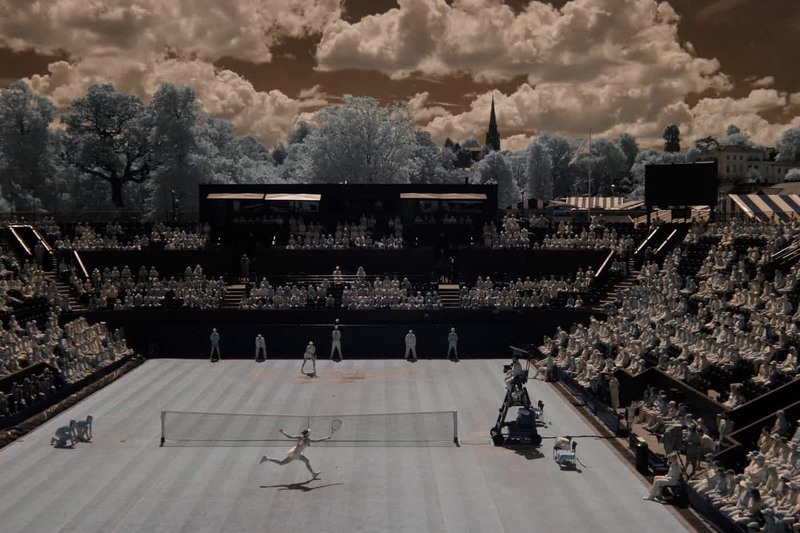 An atmospheric shot of Court Two on the hallowed grounds of tennis’ grandest event, taken with an infrared camera by photographer Tom Jenkins for the English newspaper, The Guardian, in 2017. All eyes this week are on the veteran champions Roger Federer and Serena Williams (back from maternity break) as they seek to further cement their places as the greatest players of all time. 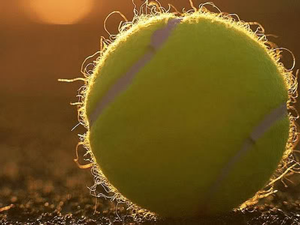 Let’s serve up some tennis — with a dash of literature — for a moment. With the U.S. Open in full swing, and Roger Federer, at age 34, seeming to defy any logic of time progression as he seeks an 18th career major title, I took the opportunity to re-read a magnificent essay by the brilliant novelist David Foster Wallace that appeared in the New York Times back in 2006. Wallace (author of Infinite Jest, and who tragically took his own life just a couple of years later) had a serious passion for tennis, and the essay, which ran with the headline “Roger Federer as Religious Experience,” is one of the most analytically perfect you can ask for from a layman whose enthusiasm for the game, together with his staggering writing gifts, come together in a piece that can be pondered over endlessly by tennis fans, much in the same way that scholars pick over Wallace’s literary masterpieces. The Federer article was not Wallace’s only venture into the field of tennis; another, “How Tracy Austin Broke My Heart,” is also a must-read for those interested in the subject. What makes these writings fascinating, of course, is assimilating Wallace’s unique sensibilities in a realm far removed from the world of books. Exempt from physical laws indeed. As I write this, nearly ten years after Wallace’s indelible words, the maestro is walking onto the court at Arthur Ashe Stadium for what turns out to be another routine win in the third round, moving him closer to the quarterfinals of the tournament. The wizard still has some tricks up his sleeve; a lot of buzz has been about the SABR (“Sneak Attack By Roger”), a new tactic employed by the sly virtuoso as he rushes the net unexpectedly after returning serve, much to the befuddlement of his opponents. Wallace talked about Federer’s uncanny ability to “misdirect and disguise” – and, one can add, mesmerize. As with all genius, his talent has always harbored more than its share of the creative. And win or lose this week in New York, how lucky we have been to have witnessed the magic. Is she the greatest female tennis player of all time? Or of her time? 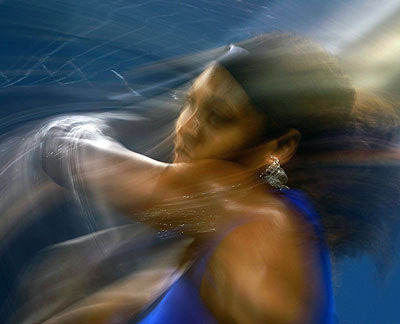 Analysts can debate, but what I saw in Serena Williams as she won her fourth U.S. Open singles title (and 15th Grand Slam championship) over the weekend were qualities that transcend any time. One may tire of the phrase “heart of a champion,” but, boy, was it appropriate here. The match was remarkable on many levels: the longest women’s final at Flushing Meadow since 1981; the first women’s three-setter final since 1995; Williams the first female since Martina Navratilova to win as a 30-year-old, which the latter did in 1987. Seeded fourth in the tournament, Williams was coming off a spectacular summer that saw her winning a fifth Wimbledon and grabbing the gold at the London Olympics. Facing the number-one player in the world, Victoria Azarenka (who, like fellow Eastern European Maria Sharapova, produces cringe-inducing squeals that make you jump for the mute on the remote), Williams came out of the gate like a Mack truck, with 120 mph serves and whammos off both forehand and backhand sides that made her opponent, 23, look like a junior and not the top women’s player on the planet. 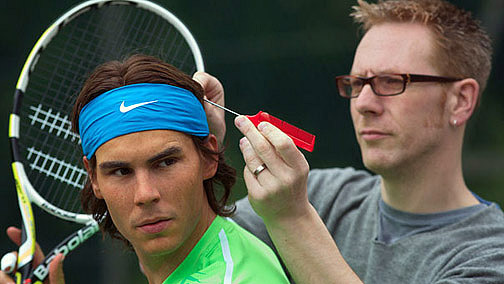 A representative from Madame Tussauds puts the final touches on a stunningly lifelike wax figure of Spanish tennis ace Rafael Nadal, unveiled at London’s Regents Park on 5/23/12. The real “Rafa” is currently defending his title at the French Open in Paris, where he hopes to break Bjorn Borg’s record of six singles championships. What a difference a year makes. Watching a replay on the Tennis Channel of Monday’s incredible championship final between Novak Djokovic and Rafael Nadal at the U.S Open, an epic battle with a misleading ultimate score of 6-2, 6-4, 6-7, 6-1, was like witnessing two gladiators engaged in a relentless duel of prodigious proportions. Had to experience it again just to make sure that my initial impression of the match as one of the greatest I’d ever seen in men’s tennis was justified. It was. 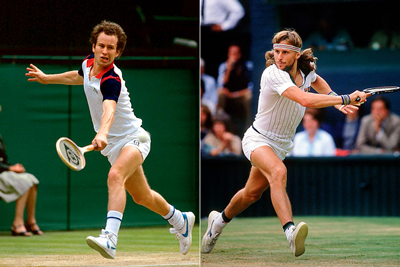 As that most hallowed of tennis events, Wimbledon, unfolds in its 125th staging at the All England Lawn Tennis Club, Stephen Tignor’s High Strung: Bjorn Borg, John McEnroe, and The Untold Story of Tennis’s Fiercest Rivalry, serves as a lively look back at what’s widely regarded as the sport’s “Golden Age” and the personalities who defined an era. The title is a bit of a misnomer, as High Strung encompasses much more than the Borg-McEnroe rivalry (it’s bookended by two now almost-mythical matches between the champions: the 1980 Wimbledon and 1981 U.S. Open finals). 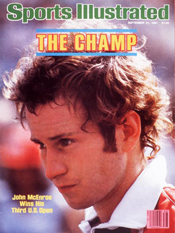 It chronicles the time when tennis bridged its genteel and stodgy pre-Open past to the wild, freewheeling, and fan-riveting years of the ‘70s and ‘80s, wi th names like Jimmy C onnors, Ilie Nastase, and Vitas Gerulaitis, in addition to Borg and McEnroe, as headliners. 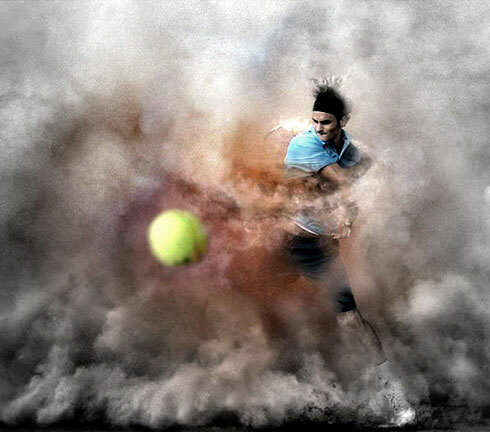 Tignor, a former executive editor at Tennis magazine, displays a deep knowledge of the nuances of the game, as well as a knack for colorful description — Borg: the “Angelic Assassin,” with “a headband for a halo”; McEnroe: “The Dark Prince of Queens,” with “the insouciance of the born improviser” — that makes High Strung a tennis lover’s delight. His overview of the key elements that shook the foundations of the sport forever, as well as the athletes who contributed to the seismic changes, provides a detailed picture of an institution in a radical state of flux. 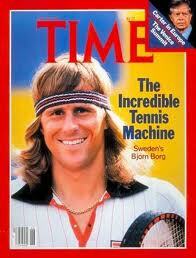 But no doubt it’s the “fire and ice” contrast of Borg and McEnroe that’s the fascinating crux of the book. (A documentary on the two, also called “Fire & Ice,” currently airs on HBO.) The methodical and enigmatic Swede, whose “mind never seemed to get in the way of his muscle memory,” is a storybook foil for the brash “superbrat” McEnroe, who always wore his heart (and mouth) on his sleeve, and whose tantrums (and unequaled poeticism of strokes) became the stuff of legend.